BIG TRUCK, BIG TASTE. River Pig BBQ is a new food truck from chef and operator Josh Steinmetz. Standard menu items include loaded tots, nachos, tacos, and brisket. River Pig BBQ food truck may be just a few weeks old, but chef and operator Josh Steinmetz is already changing up the menu. 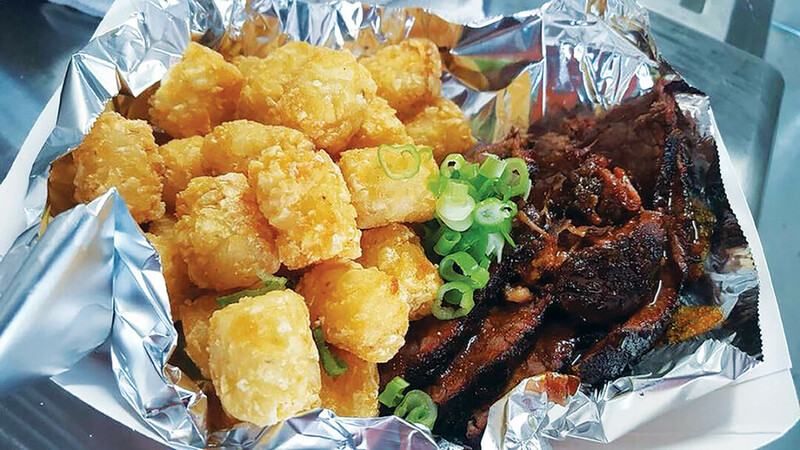 While River Pig has some standard menu items – such as loaded tots, nachos, a “River Pig sammy” made with chicken or pork, tacos, and brisket – the chef has experimented with some other dishes and themes. These generous portions are loaded. Most menu items have a surplus of toppings (think sauces, onions, peppers, and cheese) or items on the side (because what’s an entree without some potatoes?). The menu “can change on a whim,” Steinmetz said, so no two days spent eating at the food truck will be the same. Standard barbecue options aside, Steinmetz came up with some unique variations to the menu. Once, he even had a “grilled cheese day,” where all the menu items for the day were different kinds of grilled cheese. One week, he subbed Indian cuisine for the usual barbecue fare. 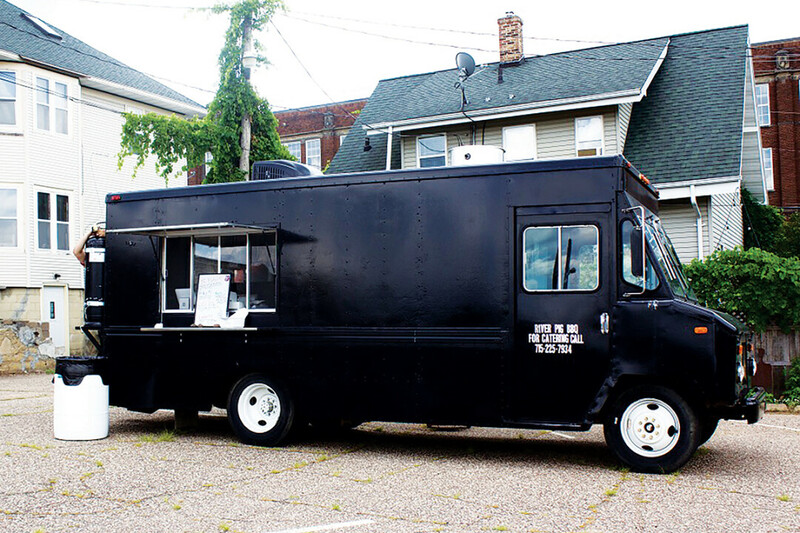 The food truck’s ever-changing menu is what sets it apart from the others around Eau Claire, Steinmetz said. If the thought of barbecue on wheels has you squealin’, follow River Pig BBQ on Facebook to find out where they’ll be dishing up some grub next. Most often, the truck is parked outside The Brewing Projekt, 1807 N. Oxford Ave.